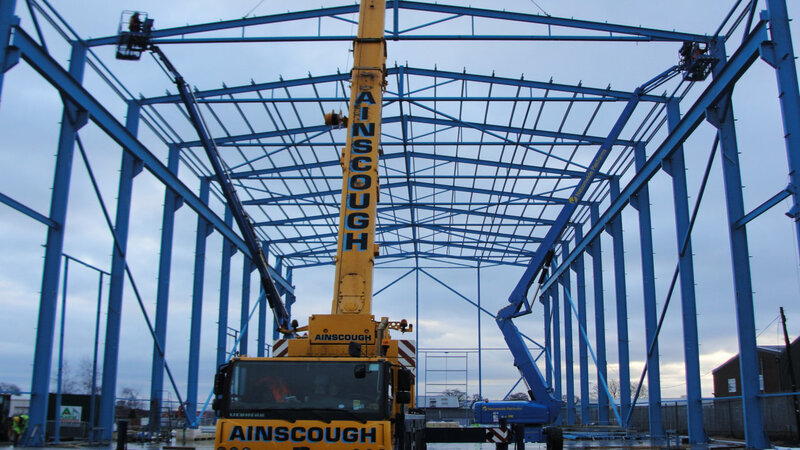 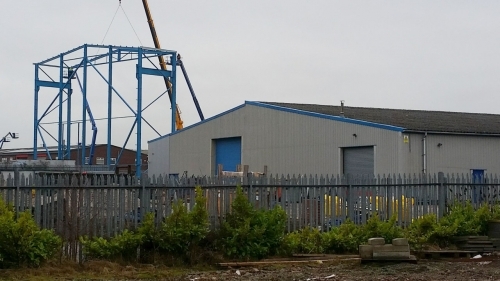 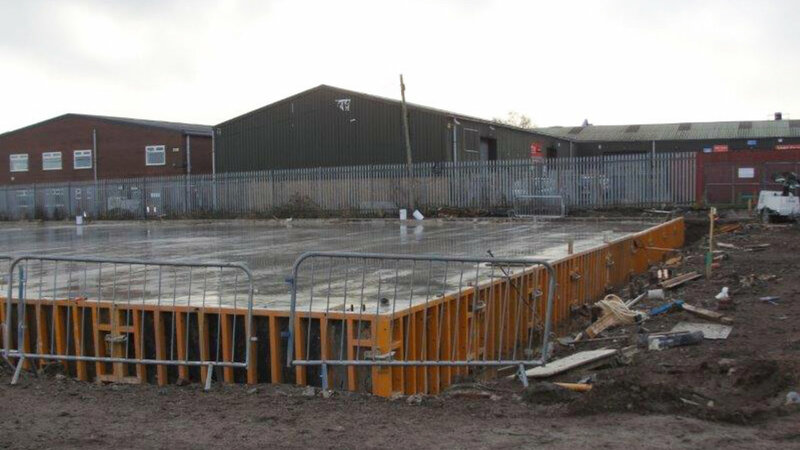 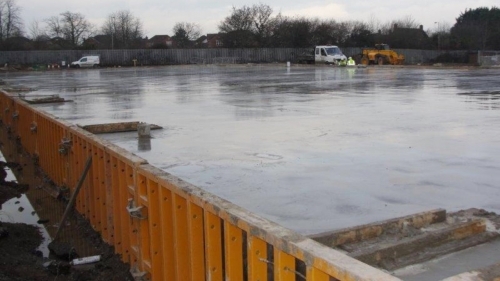 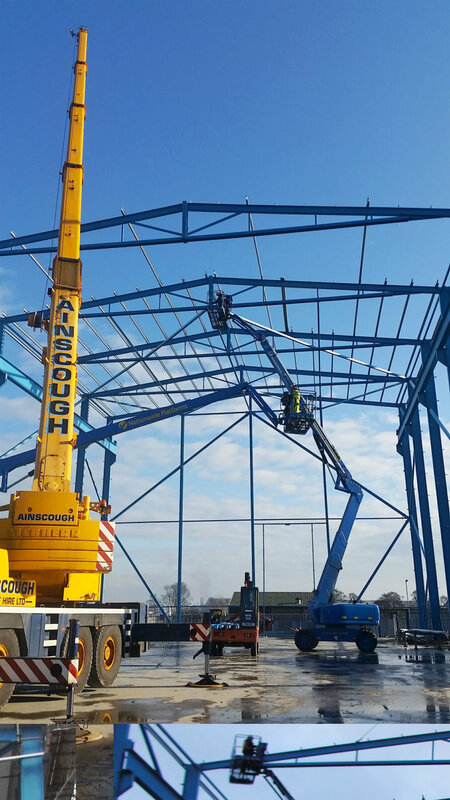 Reidsteel are currently erecting this 60m long by 25m wide workshop building for a Client located in the north west of England. 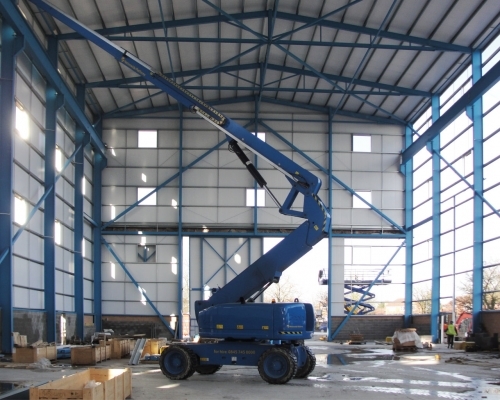 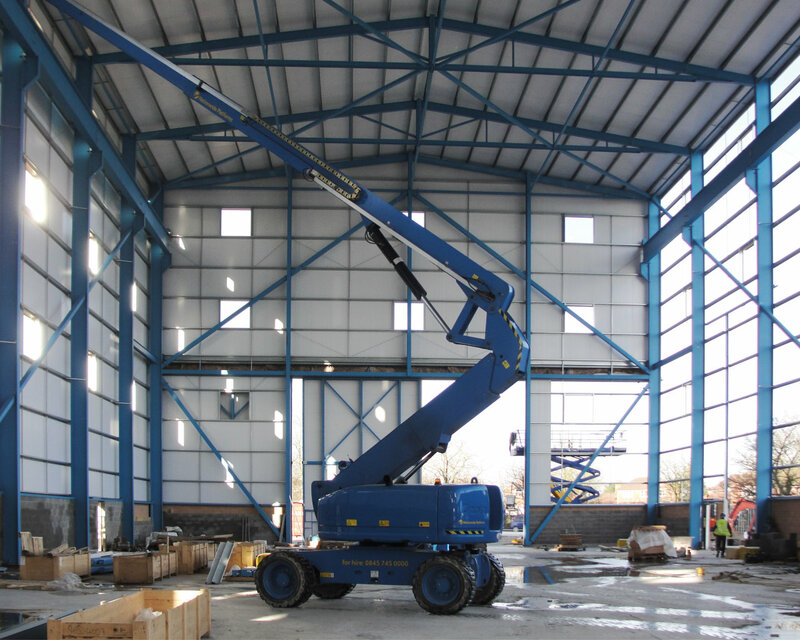 This High Bay workshop is designed to accommodate two electric overhead travelling cranes, each with a SWL capacity of 25 tonnes and will enhance the Client’s existing fabrication facilities enabling them to offer an increased level and magnitude of service to their customers. 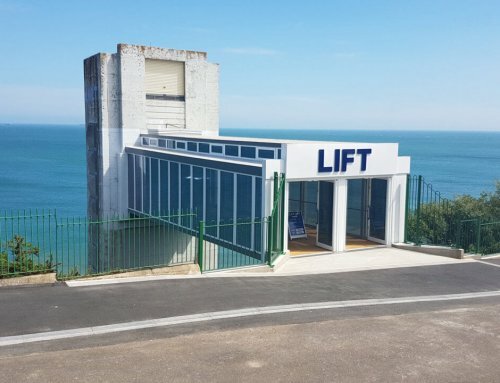 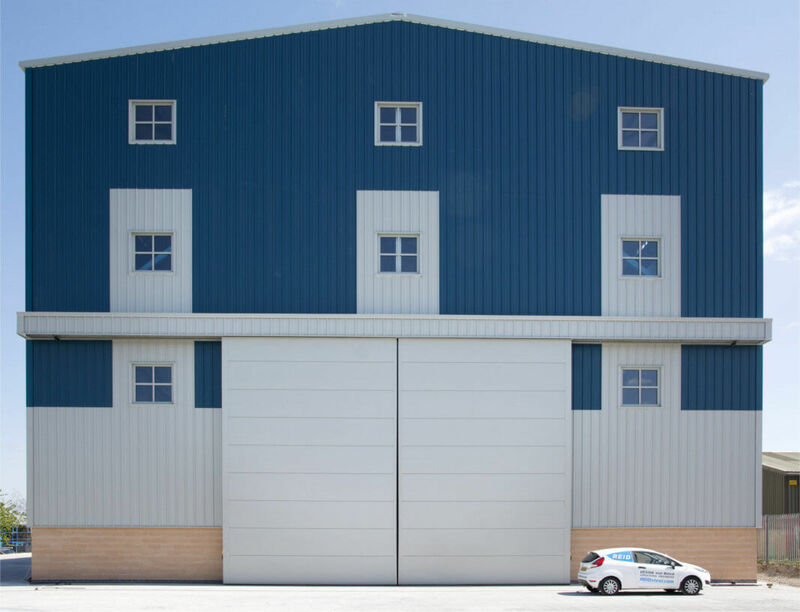 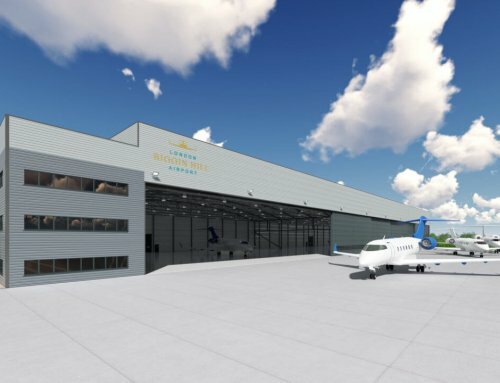 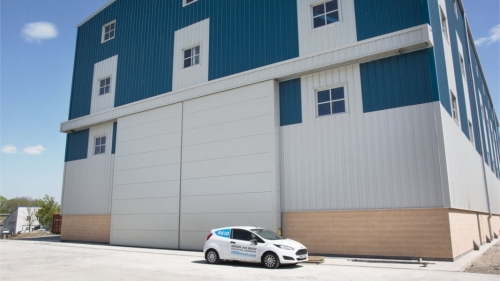 A set of our electrically operated Hangar type slab sliding doors are located on one end of the building to provide a clear opening 12m wide by 9m high, together with a number of additional smaller vehicle access doors and personnel doors. 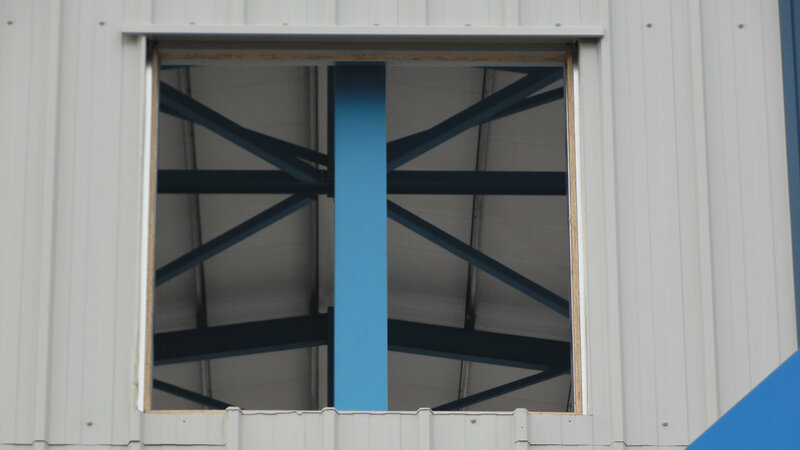 A major feature of the building is the dual colour wall scheme which is punctuated with 71 glazed windows. 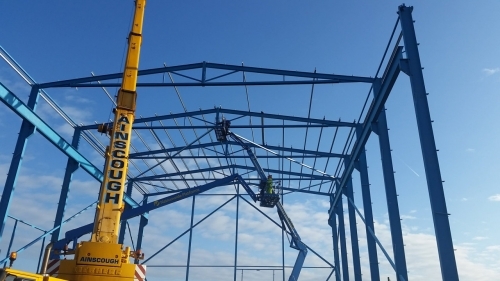 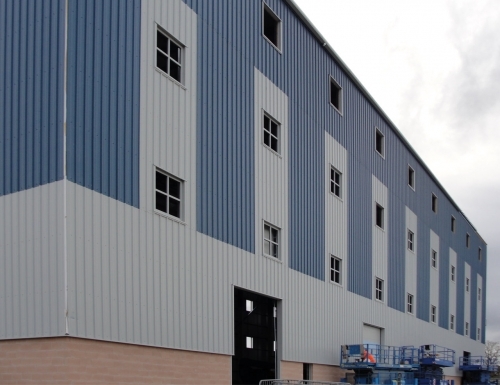 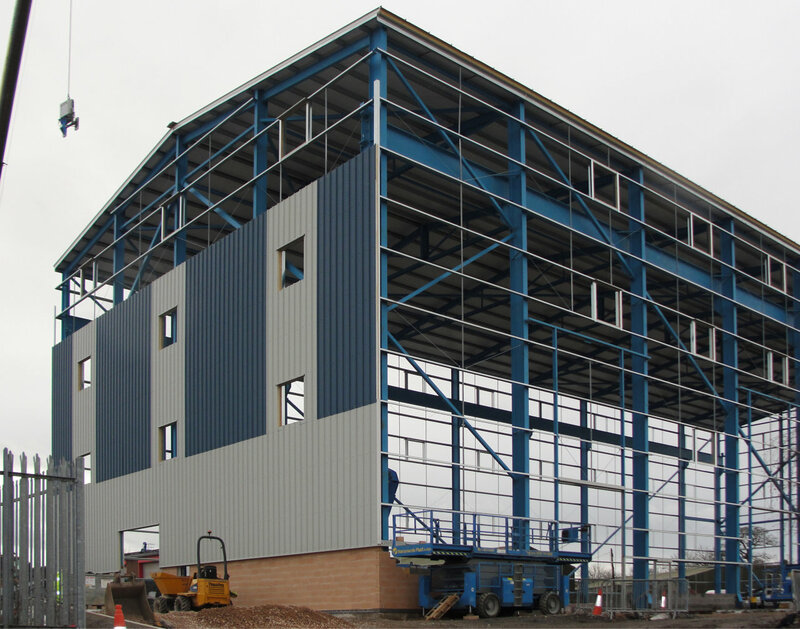 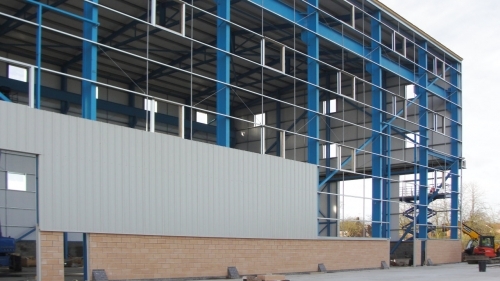 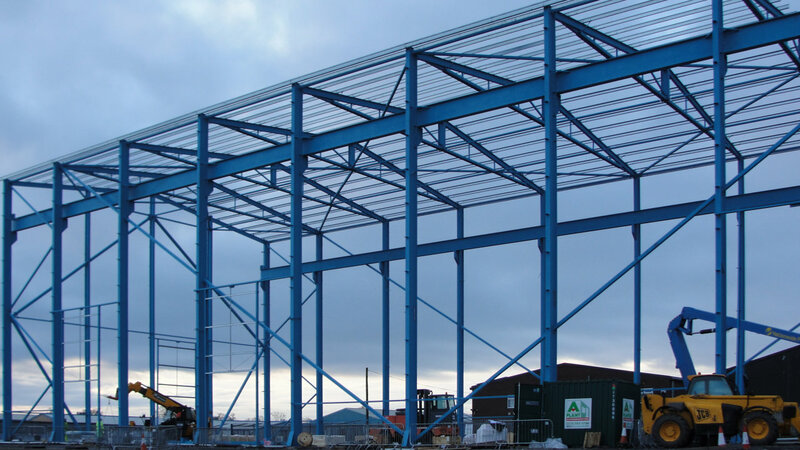 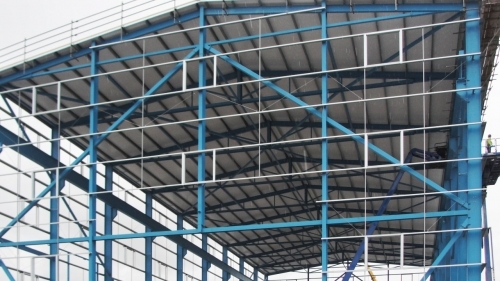 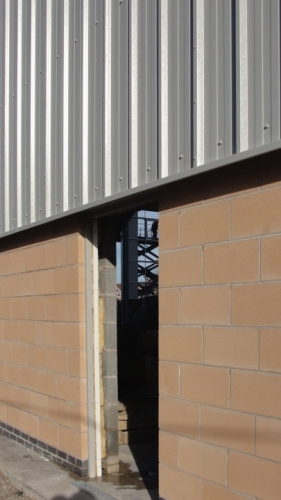 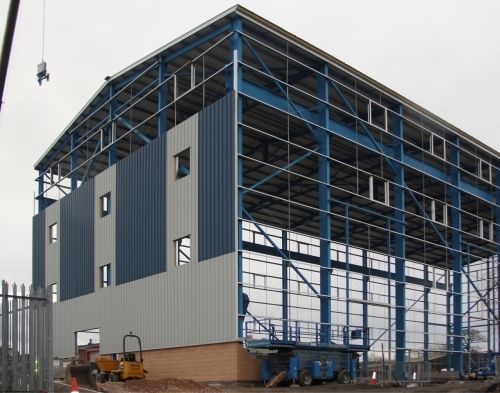 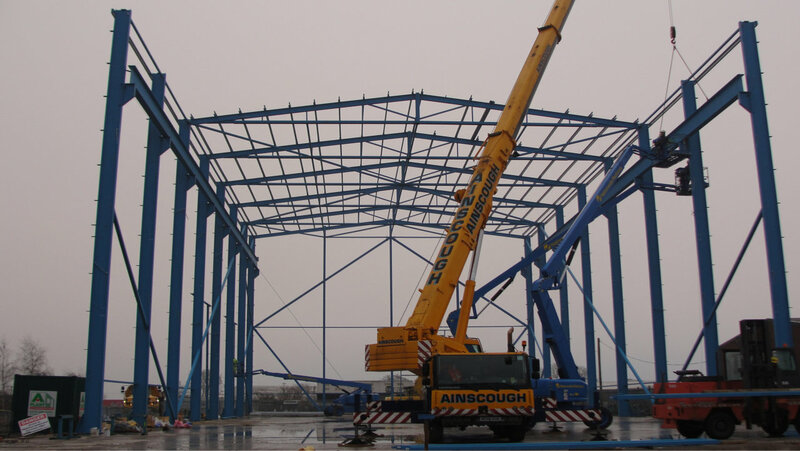 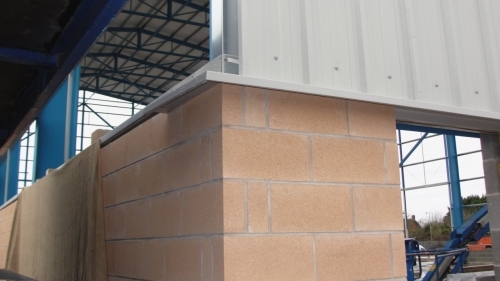 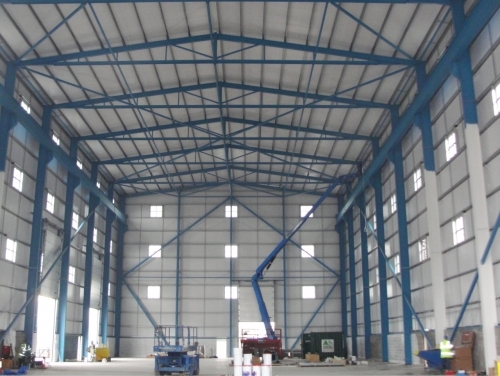 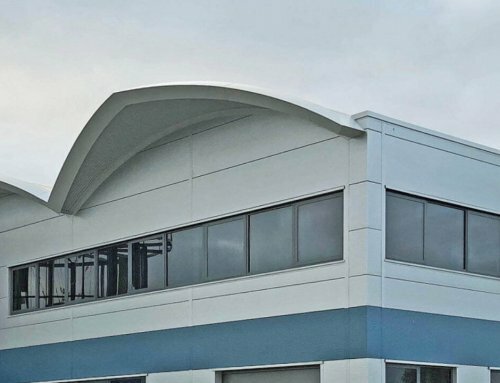 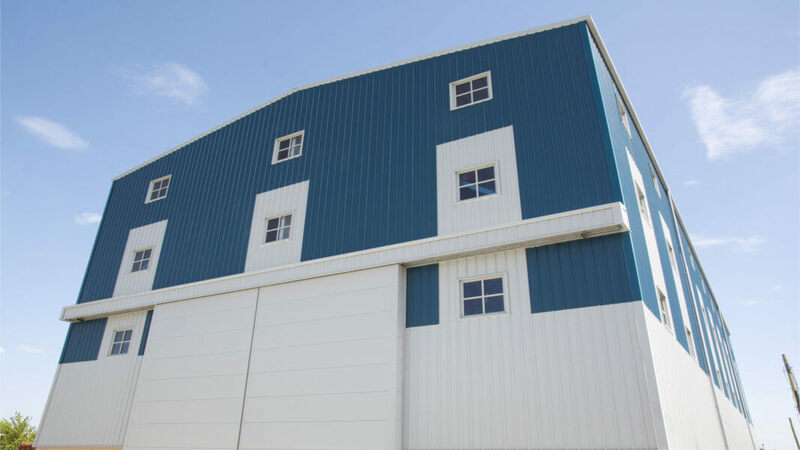 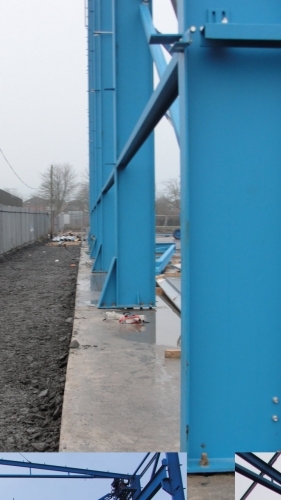 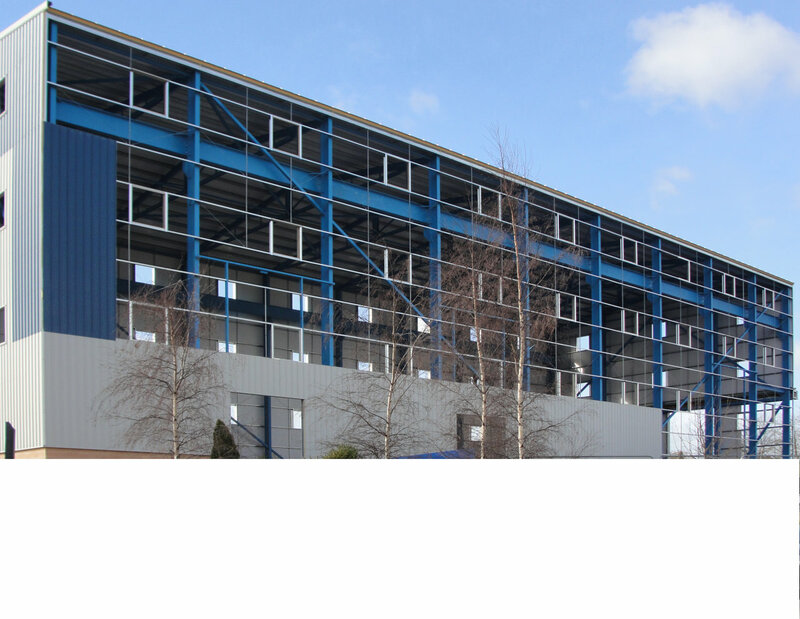 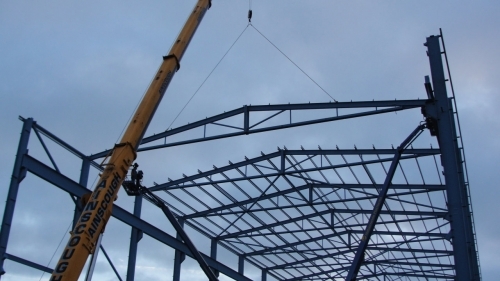 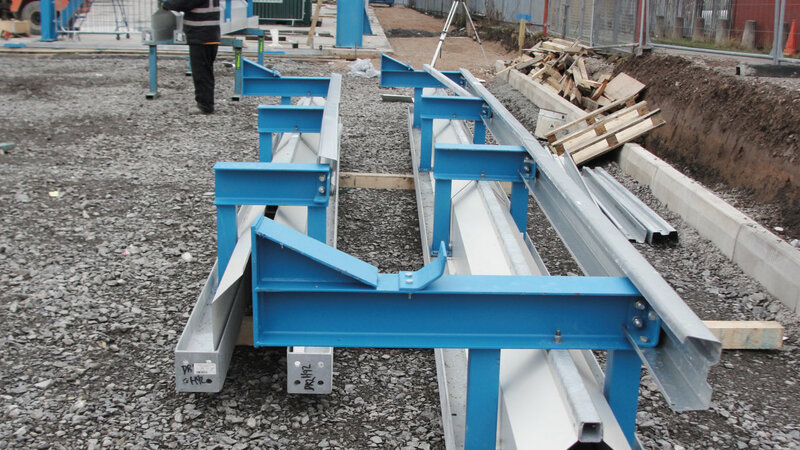 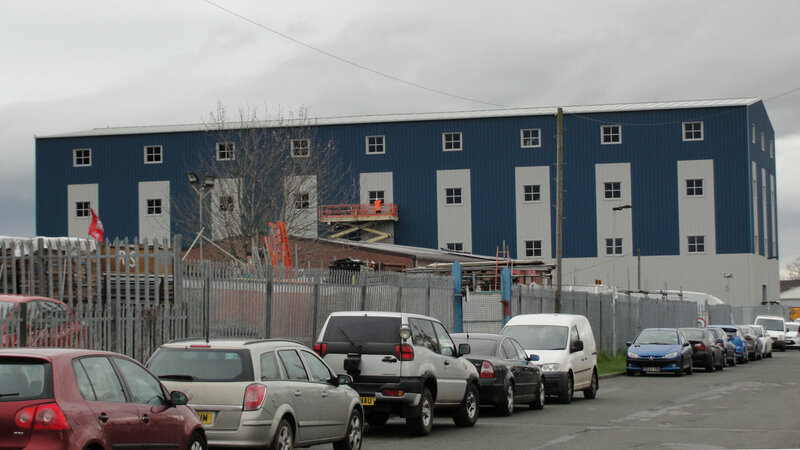 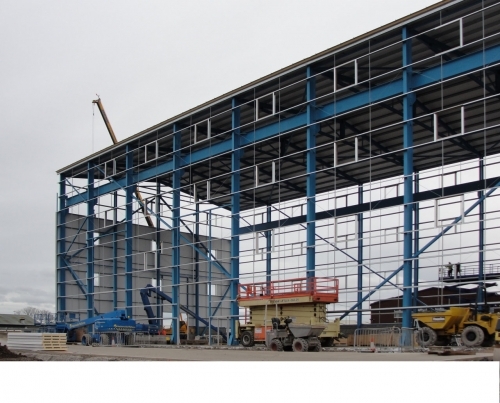 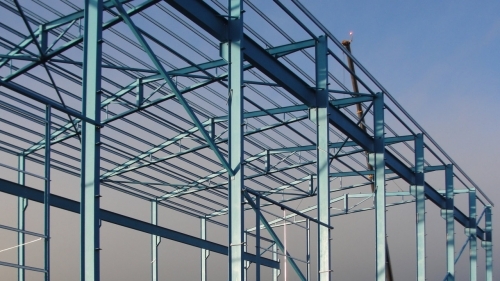 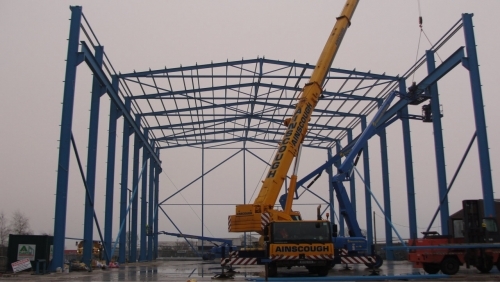 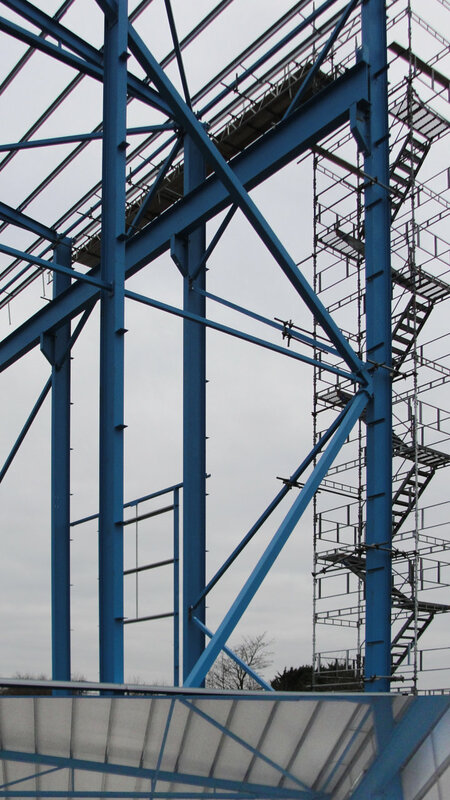 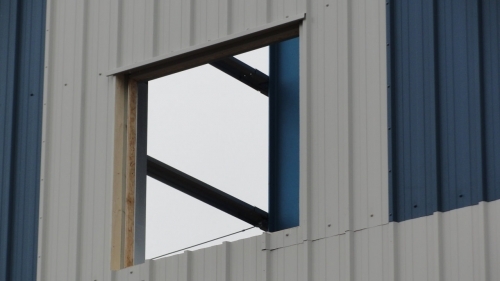 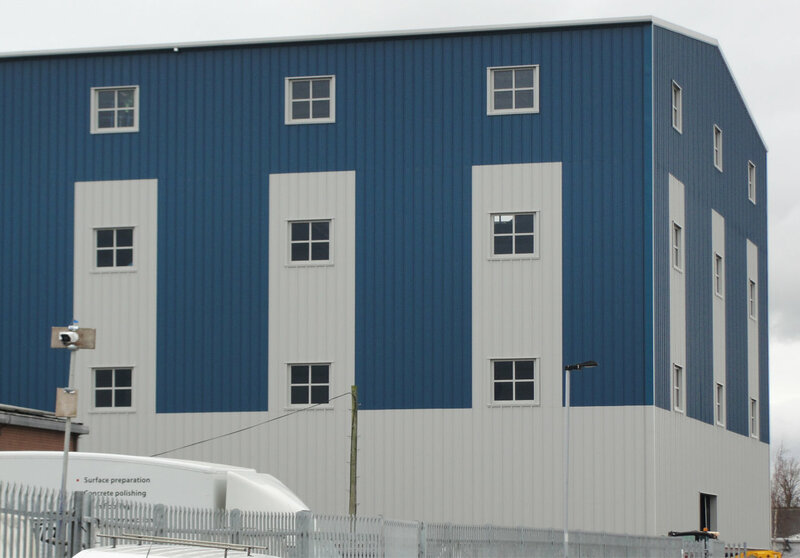 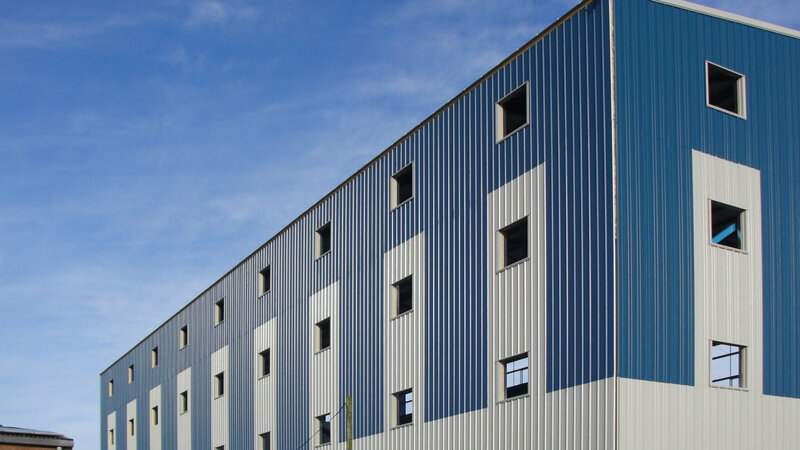 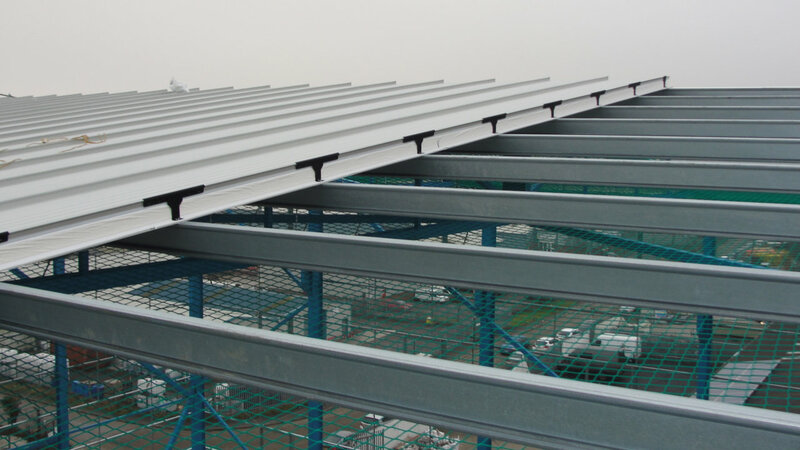 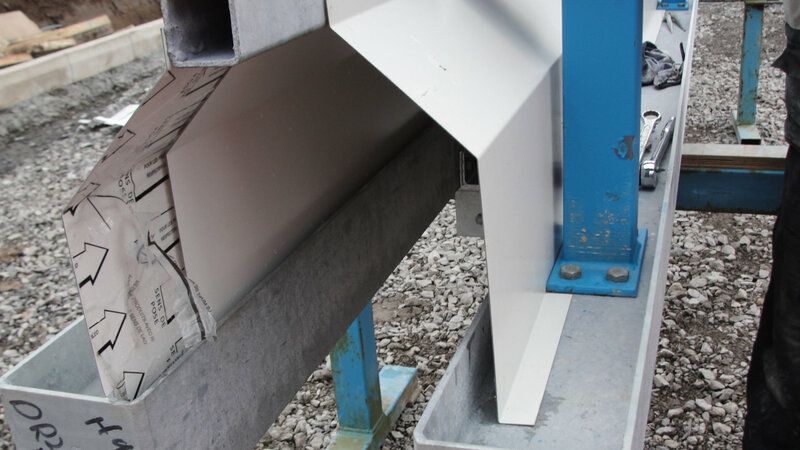 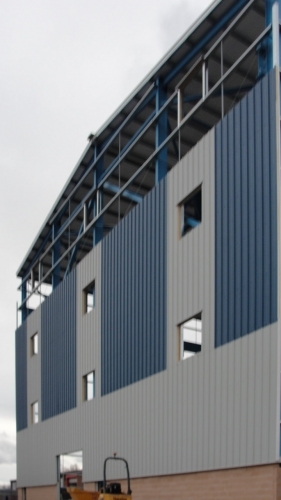 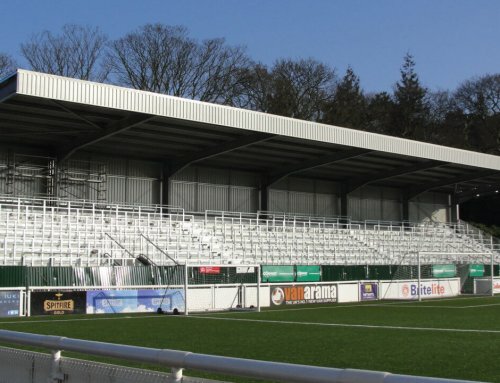 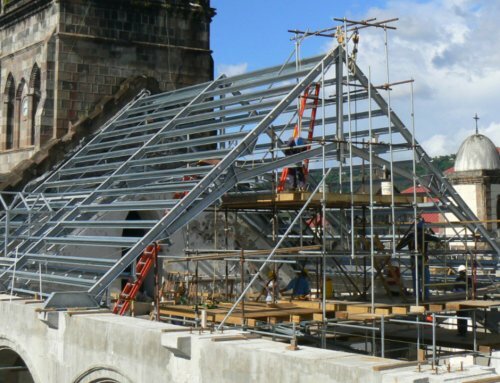 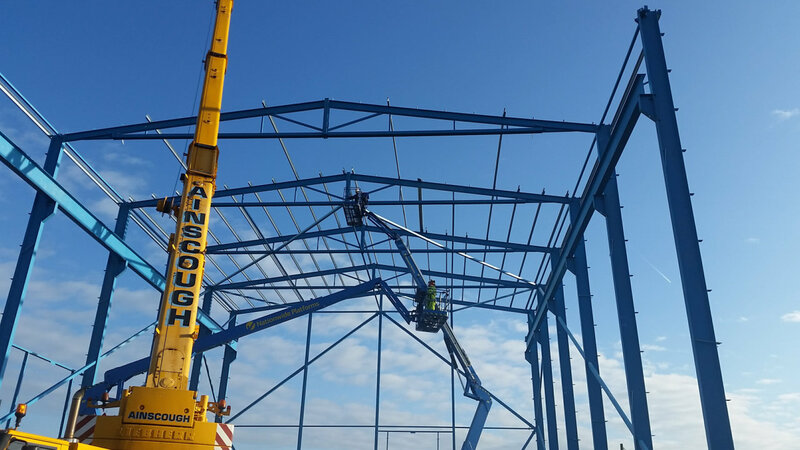 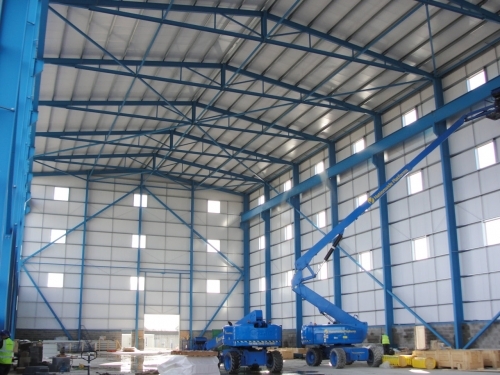 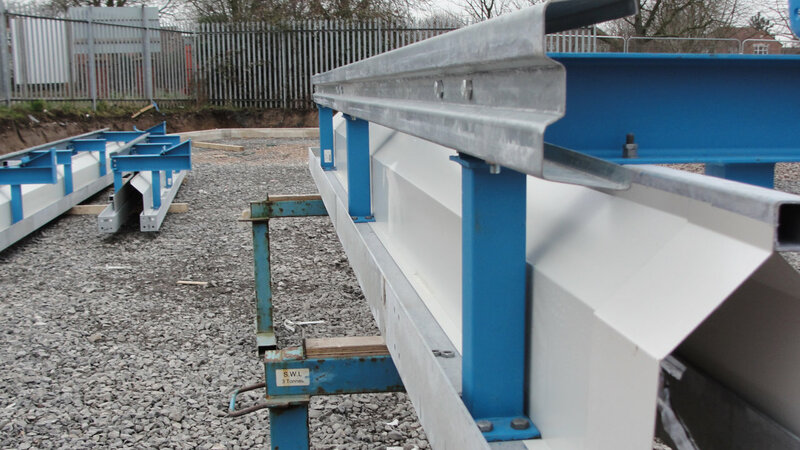 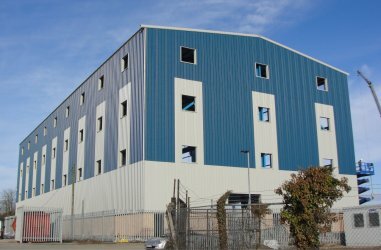 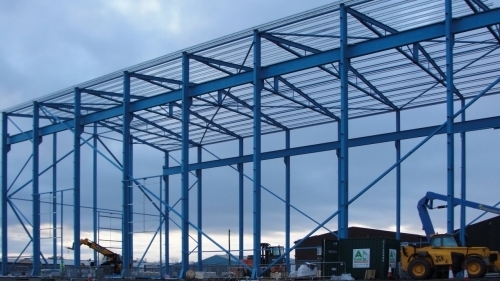 Reidsteel are responsible for the design, fabrication and erection of the structural steelwork, together with the supply and installation of the composite rigid core insulated roof and wall cladding, plus all doors and windows. Our works commenced on site in January 2017 and despite a number of days where the weather conditions hampered our progress, we are on schedule and should complete the cladding installation by the end of March 2017. 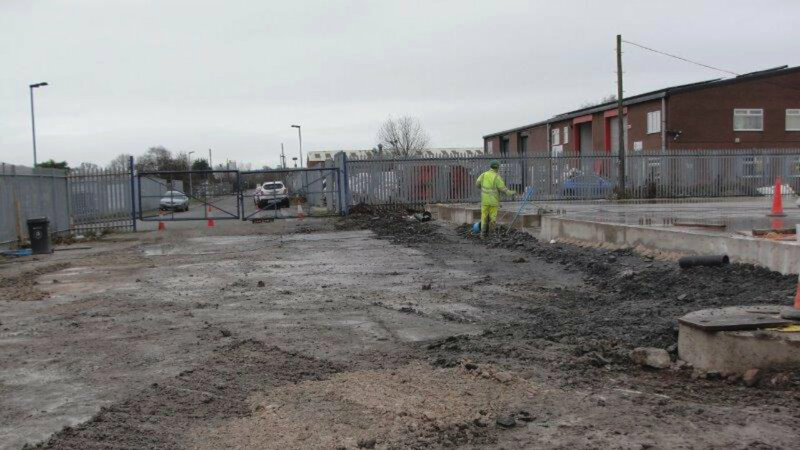 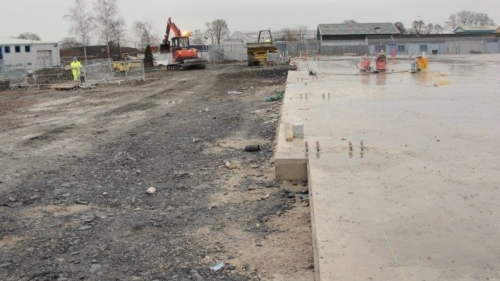 This level of progress has been helped by our Client providing and maintaining excellent ground conditions for us to work on; both inside the building where a finished concrete slab was constructed in advance of our works commencing, and around the external perimeter of the building where firm and level ground has been created in the form of a good quality crushed stone sub-base. 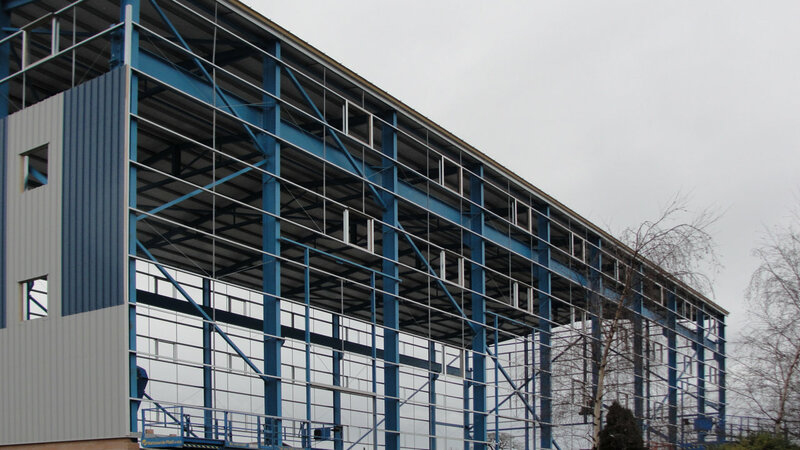 This is so important at any time of year when working in the UK, but especially so for a winter build such as this one.